Pinterest is quickly becoming popular as a traffic driving source for bloggers and websites, and there is the ability to monetise your Business Pinterest can be accomplished through driving traffic for sales and affiliate links. Pinterest pinners have more buying intent than the users of any other social media network. They are primed as they look at beautiful photos for things that they want to save for later. So between enticing shoppers, displaying carefully curated images, pins and photos and harnessing the power of a visual search engine, Pinterest is ready-made to help you promote your store, sending your ideal buyers right to your virtual store! The first and most critical part of having a monetised Pinterest account – is to ensure that your account is a business account. Make sure your website is linked and that you are set up for rich pins. If you have done this yet – you can read how to do this here. Making sure you are part of group boards that are happy to accept affiliate links or shoppable pins is key. You don’t want to get booted from a group board for going against their policies. Key thing to remember – Unless you are an Amazon associates influencer with an influencer page – you cannot share Amazon Affiliate links on your pins. 80% of my social traffic comes from Pinterest (overall, most of my traffic is from organic search, but Pinterest is a big social network for me). 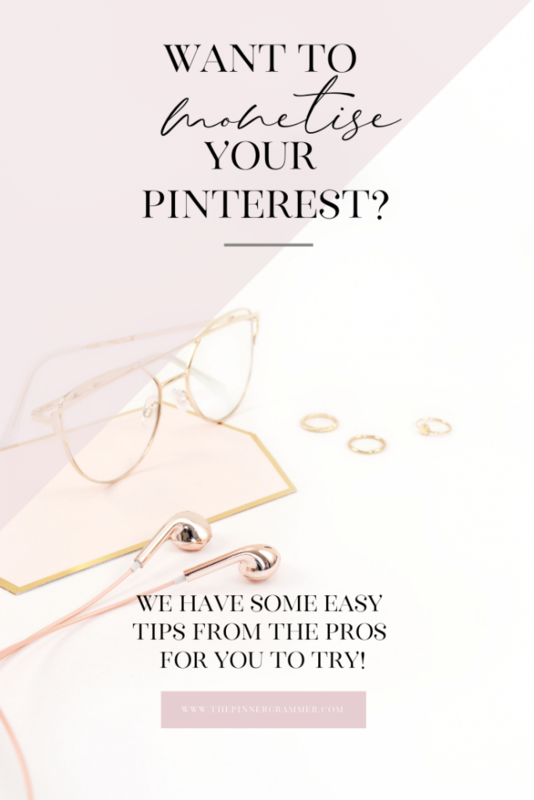 I have been on Pinterest for several years – I delayed joining the network for a long time because one of my blogs is in an office-based business niche for professionals in a particular field, and I didn’t think they would be on Pinterest. I was wrong. 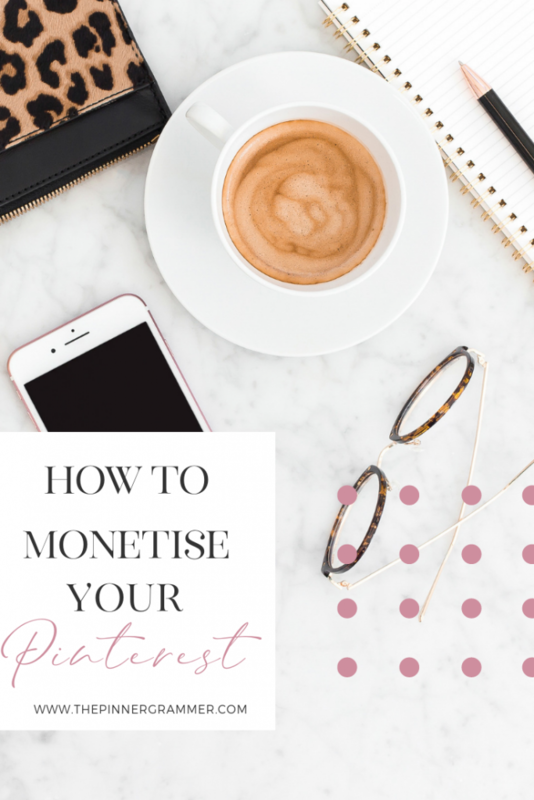 So, my tips for monetising Pinterest are: don’t assume your niche isn’t on there. Pinterest is as broad as any other search engine. You will find an audience on there, even if you don’t fit into the Pinterest-y categories of fashion, food and travel. In practical terms, it took me a while to work out that the way to monetise Pinterest is not to monetise Pinterest itself. Use Pinterest to drive traffic to your blog sales pages for your products. Or encourage people to click over to your freebies, and then they drop into an email sequence that will eventually include a product pitch. I haven’t had much success with direct affiliate links from pins, but that is something I am keen to explore during 2019. 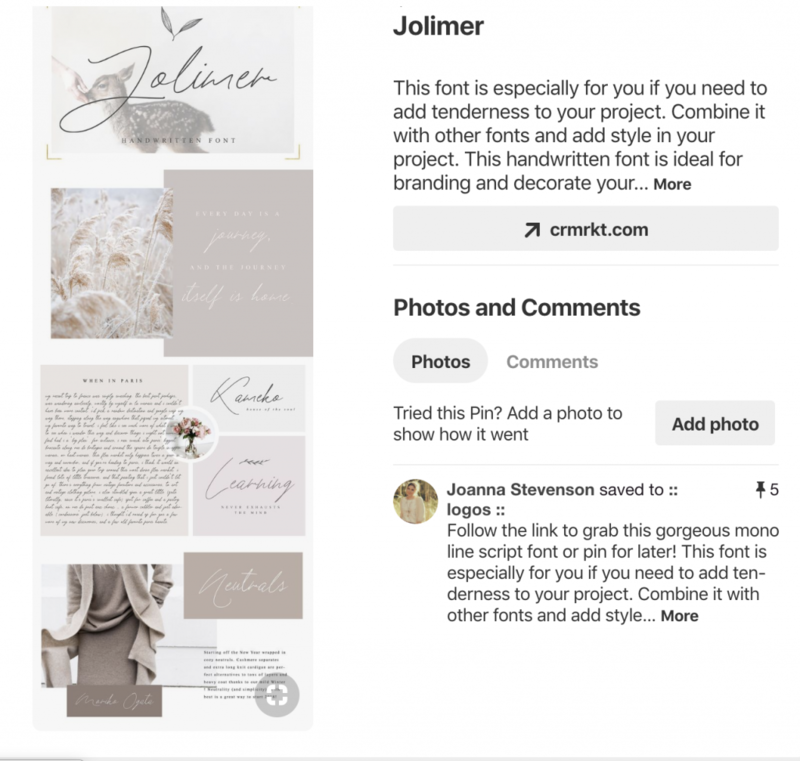 Another tip for monetizing Pinterest is to ensure you’re integrated with your commerce platform. By integrating with your commerce platform you can utilize buyable pins, which allows users to buy your products without ever leaving Pinterest. Buyable pins also show up in search results, related pins and on your business profile. There are clear terms and conditions and service use conditions associated with a number of affiliate accounts, however there are some where you can use your affiliate like attached to your designed pins. There are many affiliate programs for sellers to join – AWIN, ShareASale, Commision Factory and others.